Read the Review for DC Universe Rebirth HERE. 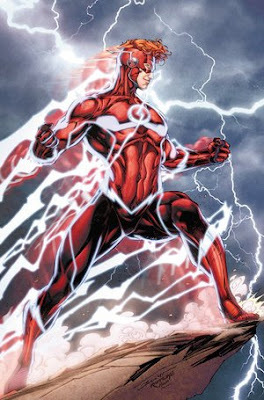 After the events of Rebirth, Wally West, the red haired one we all know and love, is back to the DC Comics Universe and he will be an important piece in this new status quo. 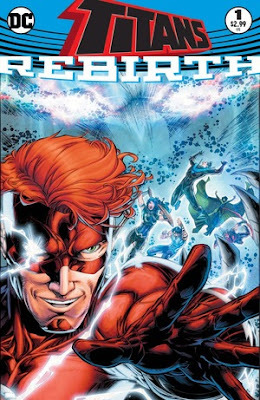 However, while the Titans Rebirth Special is not released, we have a first view of the new uniform. And it's great. It's a Flash family uniform. The symbol is there, but in silver and not gold anymore. 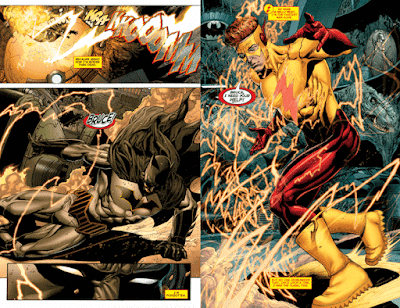 The suit itself is a perfect amalgam between the ones Wally wore as both Kid Flash and Flash. It's not known yet if he'll adopt a new alias since all his previous ones are already in use by other heroes. - Wally, the lost Titan, is back and he carries the truth about ten years of History that were taken from the heroes. - The Titans will have a central role in the solving of this mystery. Numbers 1 to 6 of this new series will deal with the return of Wally and how it affects the team. - Wally will work to get his (once) best friends to remember him. However, before that happens he has to gain their trust once again and prove he can be a hero. - Besides Wally, the team will have Donna Troy, Nightwing, Arsenal, Lilith and Garth. I have high expectations for this upcoming series. How about you?